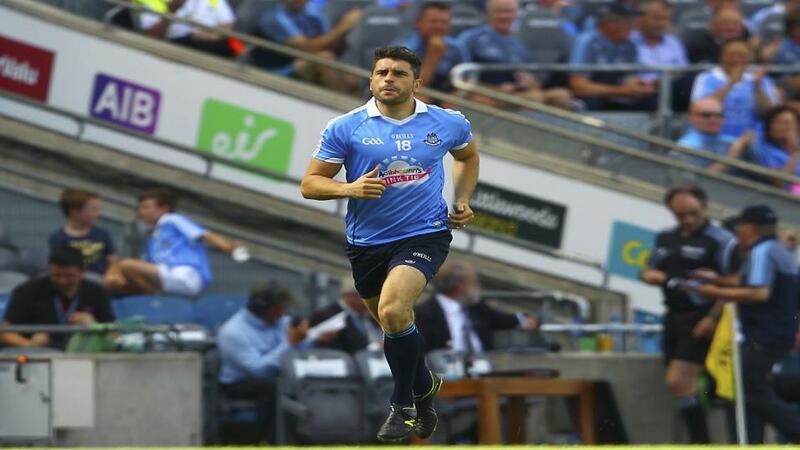 Will Dublin miss Bernard Brogan this weekend? "This is Monaghan's biggest match in a decade. These lads have a chance to make history. They have low numbers in the county and what they have done is amazing. The problem for Monaghan is I believe they would have wanted to face any other side than Tyrone." I think Dublin will win, but I do believe Galway will give them a serious game. Dublin have played well in this Super 8s system especially against Tyrone but I still think that this Dublin team is not a as good as it was. The loss of Brogan and Connolly can't be underestimated. They are the best team in the country but it feels more like the rest of the pack have just not caught up with them. Dublin could afford to rest a few players the last time out and we saw how they performed so we know they will go in here with an attitude, attack around the middle of the field, push up on kick outs and smother the game. Dublin won't take Galway for granted, they saw how they played in Tuam, they saw how they played in the league Final, they will take this game as seriously as they need to as they always do. Galway will need to improve from the last game from what I would call terrible defending, they played a blanket defence and yet Monaghan scored at will. They made it far too easy. It didn't make sense to me that a team that has lost once in a National League Final to Dublin went out and played like that and ended up being beaten by double scores. Sure, they were obviously already in the semi-finals but that performance raised alarm bells for me. That performance must be parked coming into this game. Dublin's star men will be back, Cluxton will be key again. Galway must push up on the Dublin kick-outs; fail to do that and I really think they have no chance. I'm still not totally convinced about this Galway team, defensively, they are very shaky. However, they have a performance in them; in the National League final they surprised me and it was only in the last 10 minutes that Galway lost that match so they will look once again to keep themselves in the game and hope to spring a surprise late on. I think it will be close, it will be a battle, I spoke to some Galway lads during the week and they are going up looking to cause a shock, they think they will win. I have got Galway wrong a few times this season, I got them wrong against Kerry, I got them wrong against Monaghan so they have a habit of making me look silly. But Dublin have too much quality all over the field, they hold onto the ball, they can bring the ball through the lines and they can kick it long. Could Galway win? Yes, as I said, this Dublin team is there for the taking if a team with a good game plan can get to them, but Galway are not the team to do it. I see a close game and I think six points is a lot to give so it's Dublin to win but Galway to cover the handicap. Monaghan are another team, like Galway, that can be hard to predict, they lost to Fermanagh, the Kildare game could have gone either way, they should have beaten Kerry out the door and didn't. Based on that, I believed Galway would see the carrot of avoiding Dublin in the semis as enough motivation and beat Monaghan. Which as we know, was wrong, but Monaghan were excellent last weekend, a really great performance. I mentioned before about how they don't have enough players getting scores from other areas of the pitch and they responded with eight different scorers in the game. I really enjoyed watching how they played against Galway, they pushed right up on the kick-outs, their defence was rock solid. This is Monaghan's biggest match in a decade. These lads have a chance to make history. They have low numbers in the county and what they have done is amazing. The problem for Monaghan is I believe they would have wanted to face any other side than Tyrone. They have already beaten Dublin in Croke Park this year. Now they face a Tyrone team who know them inside and out, who have history with them, a Tyrone team seeking revenge for the defeat earlier in the year. This makes it a huge ask for Monaghan to come up and beat them twice in one season. It is very hard to beat a team twice in a season. Believe me. Mickey Harte deserves huge credit for how Tyrone are playing now, they are looking very good. although I would like to see them push up a bit more, I think they invite teams onto them too much. Push up from the middle of the field and squeeze the opponents but Tyrone consistently do not do it and I feel they probably will stick to that system. They have done a "Mayo" on it this year, by getting a run in the Championship and getting momentum. This game will be cagey, especially in the first half, but Monaghan will have to make a serious go of it in that first half, as Harte has been very honest and stated that some of his subs are probably better than his starters. That means when they come in, they can really change the game, we saw this against Dublin & Donegal. The goal they got against Donegal came through all five subs. Monaghan must start well, they must get a few scores and keep their noses in front as they head into the second half and the latter stages of the contest. They will need to get scores from all around the pitch like they did last week against Galway, all these things must go right for Monaghan. This is one of the toughest games all season to call. I'm going to just go for Tyrone as they have momentum, they seem to be hardening as the season goes on, the Dublin match, the Donegal match were all games that have brought this team on. Monaghan had a great victory last time out, but where was the Galway team we had seen all year? Tyrone to edge it.